Another quiet week but I did pick up one book. Reading: Who Moved My Goat Cheese by Lynn Cahoon and finishing up No River to Wide by Emilie Richards. 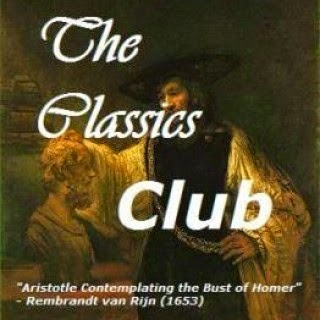 Listening: I'm still listening to Because of Miss Bridgerton but I haven't actually listened to much this week. Watching: We're still watching Longmire and are really enjoying. I'm not great at binging shows though and can only make it through 2 or 3 before I need a break so it's going to take awhile. We spent most of this week in south Mississippi. It was a fun visit but it was crazy hot so we didn't spend too much time outside. This is the Tornado's last full week of summer and we're planning on being extra lazy. I don't love how early school starts back but it's really too hot to do much outside and we do get out mid-May and have a few decent length breaks in between so it does work out. 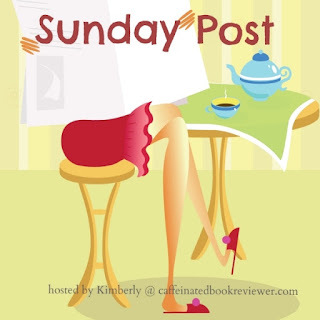 I didn't get much blog visiting done in the last week or two but I'm hoping to make up for that in the next week. Longmire does take a while as there are so many episodes. I've been on an extended break but need to get back to it. Wow school already huh? It's coming up quick even for us- only a little over a month left! Wow. Do they air condition the schools down there? I know our schools are not, but of course we don't get as hot here either. Your summer hols coming to an end, always a little sad. I read somewhere this week Netflix and Shonda Rhimes may be doing the Bridgerton series. Would be interesting if they do. Dim Sum Of All Fears sounds really interesting I like the premise. Thumbs up for extra lazy weeks. I can't even cope with the little bit of heat we get here I don't know how I would cope where you are. Have a great week. I wish I was getting something productive done on the tv side of things! I'm spending all my time going through everything on my tv box and watching random things so I can delete them before the box finally breaks down. It's on the way out and I have too much stuff on it! My husband and I watched Longmire and really enjoyed it. Such a great show. Hope you have a great week. I wonder what would happen if there were more staggering of the school year. It seems like you might be able to fit more kids in one school that way, too. Enjoy your last little bits of summer. I want to start the Noodle Shop Mystery series, looks like a good one! The heat wave has left us, hopefully for good this year. Have a relaxing rest of summer! School starts so early anymore. My daughter starts all day marching band practices on Tuesday which really will take us to the first day of school. Nice that you were able to go visit with family but too bad it was too hot to really get out. Enjoy your lazy week, Katherine! dim sum of all fears, pick one and you might not see next day! Come come buy one get one freee? 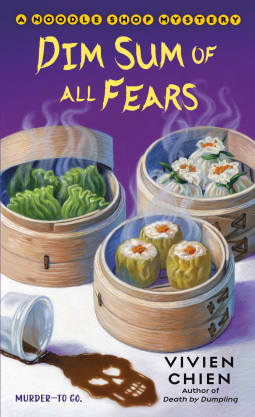 I do love cozy book titles: Dim Sum of All Fears sounds great. Glad you had some "lazy" time before school starts again. I remember when schools started in September. Sigh. But then again, they didn't get out until June. Wow, the Tornado's school starts really early! Schools around here start in mid-August -- a recent change after decades of starting after Labor Day weekend. (Not that it affects us anymore, except in scheduling my choruses' rehearsal and performance dates.) I'm glad you got to Mississippi (I presume to visit family) before school starts. And I hope your last week of vacation is lusciously lazy and relaxing. My schools always started in early August, too. I hated it, but I did like getting out in May. I hope you have a great week and enjoy your new book. The public schools in my state start after Labor Day but most of the parochial schools begin a week or two before LD. I hope the tornado has a nice lazy last week of his summer vacation. You too!